[*]After reading DH, to what extent do you think is Snape responsible for what happened to the Potters? I think Snape was not responsible at all for what happened to the Potters. What happened to the Potters had IMO nothing to do with Snape. What Snape was responsible for and had to repent and seek remorse for was for his uncaring/unthinking action of taking what he heard of the Prophecy to Voldemort, knowing that his action would mean the very possible death of a baby and it's family in my opinion. With respect to the Potters deaths, what I would like to know is this - to what extent is and can a man be blamed when he came well in time to ensure the Potters survival? Had Snape come after the Potters died, then I have no doubt he would be directly responsible for their deaths as much as Peter and Voldemort. But, Snape came in time to warn the Potters through Dumbledore of Voldemort's intention and thereby I would like to know, whether a man can be blamed for an action for which he has already carried out other acts to nullify/rectify/undo the original act. Because that's what I think Snape is being held responsible for. Assuming the Potters went with Dumbledore as per Dumbledore's advice and had lived and survived the war, safe under the Fidelus charm, because of Snape's information to Dumbledore on the hill, would Snape still be blamed? He is brought in as culpable because the Potters died. But IMO the Potters did not die because of Snape. They died because they were betrayed by Peter and killed by Voldemort. Snape's information which in other circumstances would have saved them, did not - but that was not because of Snape, but because of their choices and Voldemort and Peter's actions. So how much should one blame him for the Potters deaths? IMO not at all. I think Snape was culpable for taking the Prophecy to Voldemort; not for the Potters deaths. Severus didn't seem to single out Ron in the books, more in the movies. It was Harry, Hermione, and Neville who usually got the brunt of his snark. I really don't think that all of his jibes at Neville can be blamed on his being in a bad mood most of the time. I'm sure he got frustrated with Neville because he was so inept at potions, and Severus didn't seem to be able to understand that the more he went at him the more nervous and inept Neville seemed to become. As for the Pettigrew-Neville thing, I don't really see Snape perceiving many similarities between them. It doesn't say if Pettigrew was clumsy, plus Neville at least excelled in Herbology (which Sprout could have well mentioned in the teachers' lounge). Also, Snape never saw Neville taking part in bullying a fellow-student (or eagerly watching it), so I guess he could have suspected that Neville was not that sort of person. I think he wanted her to stop interrupting and shouting out answers, but, I also think he admired her amount of knowledge and was frustrated that she did not take it to another level as he'd done himself (as we see in HBP). I don't know. Not that I have any evidence at hand as it's just my impression, but Snape strikes me as kind of jealous if someone is *too* good for his liking n something he specializes in. As for the "no difference" scene: there is debate as to whether he meant Hermione's teeth or that she and Crabbe or Goyle (they're almost interchangable) had both cast hexes at each other an both had suffered from the others' hex. From the contextual point of view, I can't see his remark referring to the latter. I'd say Hermione turning herself into a part-cat was pretty good evidence she'd been fooling around with something, and Severus knew enough, I'm sure, to realize it was polyjuice potion. He could have turned her, alone, in and she'd have been in trouble for stealing supplies at the very least. But, I think he held back on purpose. On the other hand, perhaps Hermione's cat-visage could also be a result of an attempted animagus transformation (idea so not mine, I read it in a fanfic). So I believe he was holding back for lack of evidence, combined with that he didn't resent Hermione as much as Harry IMO. Any good teacher -- which I think Severus was, discounting his personal grudge against Harry and his shortcomings with Neville, only two of hundreds of students he'd taught over the years -- any good teacher not only wants their students to succeed, but wants them to exceed their own accomplishments. Yes, like I said before, that was wrong wording on my side. I believe he was holding his students up to his high standards, prodding them to live up to them. The students' motivation (him never praising Hermione, favoritism of Slytherins) and general conduct is another matter. I'd only add that the grudges against Harry and Neville are only the ones we know of, there might have been others during the years; I believe there was a reason why Snape's conduct was somewhat ill-famous among the student body. The other possibility which has occurred to me is that deep down he feels guilty because he knows that by passing the prophecy to Voldemort he betrayed Neville, as well as Harry, and he can't cope with the guilt, so he gets angry with the person he knows he has wronged, because hatred is easier to deal with than guilt. Resenting people that make him feel guilty does seem to me to be one of Snape's characteristics. I never considered this before, but I can agree with it for the most part. Emotional pain is a common, core emotion, and people handle it differently. When Snape hurts, he most often lashes out in snark, and occasional angry outbursts, I think. Expressing anger is much easier than confronting painful emotions. During SWM, he's feeling everything from embarrassment to frustration, and he lashes out at Lily. When he catches Harry in his Pensive, his response to the pain is to throw a jar over Harry's head. He felt guilty when he could not save DD from the Horcrux ring, and thus had no problem raising the required anger to AK DD when it was required. Harry brings back the pain he associates with James, and the guilt over carrying the prophecy to Voldemort, and Lily's death, and thus he lashes out at Harry. He also feels guilty in regards to Neville and Neville's parents, and lashes out at him for the same reason. I'm convinced Hermione reminds him of something he finds painful. I think she reminds him of himself and his initial enthusiasm when he arrived at Hogwarts, and he unconsciously resents seeing it and tries to smash it, since it was smashed out of him. I'm not sure why Severus should feel guilty about Neville's parents. Bella crucioed them trying to find out what happened to Voldemort, well after Severus had gone over to the good side. He had nothing to do with what happened to them. Yes, he does lash out in anger. IMO, he wasn't taught any differently. That may be all he saw growing up, and habits we learn as children are the worst ones to try to break. He lashes out at Dumbledore for not coming to him sooner with his cursed hand, he lashes out at Harry for pensieve-diving into his private memories. But, I don't see anything involved with the prophecy for him to lash at at Neville for. Again, I don't think we're shown anywhere that he even knew when Neville's birthday was. Since we don't see him in the same situation with Dean or Seamus, I'm not sure what he would have said to them. I'll have to look up that incident before replying more in depth. I don't know where/how he'd have done that research, but, I guess it's possible. It's still speculation, as we don't read anything about him knowing there was another child who could have been "The Chosen One." Severus knew Pettigrew when they were both First Years. My questions referred to that period, when he first met Peter -- did Neville possibly remind him of Pettigrew as a brand new Hogwarts' student, and could he have either been resentful toward him for that resemblence since Peter later became a member of the Marauders and seeming to enjoy his (Severus') humiliation at their hands so much? Peter and Neville strike me as another of JKR's parallels, where she shows us two very similar characters who end up differently in the end because of the choices they made along the way. That's why I wondered if Neville reminded him of a very young Pettigrew. Could you provide a reference to Severus' being a "know-it-all" and "sucking up" to any of his teachers, please. I don't remember that. My perception is that it could mean either. I think he meant a bit of both. Severus was a Potions' Master and I strongly believe he could tell the difference in a failed Animagi transformation and a flubbed polyjuice potion. He never praised Hermione, IMO, because she kept jumping in and trying to answer everything. If he praised her it would have only reinforced that. A student like Hermione can have a very negative effect on a class. It makes others hesitant to answer because they don't have the chance, or because they're afraid they have the wrong answer and they're sure Hermione knows it so they'll look stupid, or, why answer if you know Hermione's going to answer it anyway. She was brilliant, and is one of my favorite characters, but she was a pain in the neck as a classroom student. When Harry asks Percy who the black-haired professor is, Percy tells him. The only reference he makes other than that is that Snape wanted Quirrel's job, the DADA position. He doesn't say anything negative about him or tell Harry to watch out for him as he is especially nasty. The Weasley twins are two years older than Ron and, if anyone would have had a run-in with Prof. Snape, I'd say it would have been them. They were legend among the teachers for their pranks and were working on all kinds of things to help students get out of class, or pull pranks on other students. It seems many of their items were based on potions, and, as I said previously, I can just imagine what a Potions' lesson with them must have been like. But, we don't read about them warning Ron or Harry about Severus or any dire consequences that might befall them if the mess up in his class. It seems to me that most of the students who disliked Severus were in Harry's class of Gryffindors, and disliked him because of the way he treated Harry. As for "favoring Slytherins," I don't see that he favored them any more that the other Heads of Houses favored their's. He punished Slytherins with detention, as we read of Crabbe and Goyle serving detention. He didn't give them any extra points in class that weren't earned. He didn't take undue amounts of points off for Gryffindors misbehavior, and we don't see any Slytherins misbehaving in his class, so I don't know what points he'd have taken off for their actions. I definitely agree with you about the reasons Snape lashed out - I think he learned it from his father and while growing up wasn't shown any other ways of coping (except perhaps by hiding in a corner and hoping to be ignored, and i think he used that sometimes as well when he was younger). Snape wanted to save Lily. I suspect he knew that begging Voldy for Lily's life probably wasn't going to work (he went to Dumbledore for help for that very reason, I think), and it wouldn't be his first choice. It isn't canon, but my guess is that he found out if it were possible the prophecy could possibly refer to another child, and attempted to get Voldemort to target that child and family instead. I don't think he blamed himself for the Longbottoms being crucioed into madness, but I do think later on he felt guilt for wanting them, along with Neville, to have been the targets instead of Lily, and I think he would have felt that way whether he actually asked Voldemort to target them instead or not. I think if Severus had been aware of the Longbottom's son and had made any overt moves to send Voldemort in that direction something would have been included about it in the books somewhere. But, I don't remember any references to it. That's not to say it didn't happen. I just think it would have been mentioned that he tried to divert Voldemort's attention to another family. What we do see is him going to Voldemort to beg for Lily's life. IMO, he knew it was no good to ask for the child to be spared, as he was the "Chosen One" who would vanquish Voldmort. He probably didn't care about James. So, he tried to bargain for Lily. But, also knowing that Voldemort wasn't the most reliable individual, even if he gave his word, Severus went to the only person he knew who was more powerful than Voldemort: Dumbledore. He knew he could trust Dumbledore and that Dumbledore would do what he could to protect Lily. That he begged only for her safety, I think was just human nature: she was the one he loved, she was the one who came to mind when he was asking, she was the one he was willing to risk his life and his freedom for. And, he did seem to realize, after Dumbledore's extremely stern admonishment, how terrible it was to not include her family, so he did. And he promised "anything" for their safety, a promise he kept for the rest of his life. The more I look at the different posts here the more I think that his picking on Neville and Hermione was due to their actions in his classroom and nothing else. Each frustrated him to his absolute limits in their own way, and, the tactics that he used, which may have worked with similar students in his ten years of teaching to that point, didn't work with them. So, as was his unfortunate manner, he lashed out at them in his frustration. It wasn't right to do, but I can see how it could happen. It's funny, but there is an interview with Lily Rabe who's in the play "Seminar" with Mr. Rickman. She talks about a dance teacher she had and how mean he was and how he made her cry all the time. "He made everybody cry all the time..." she says, but she adds he was the best teacher she ever had and she learned so much from him. It made me think about Severus and his stern manner. We never hear anything from Neville or Hermione later about what they thought, looking back on their years with Snape -- whether they considered that he'd had any positive impact on their lives or not. That's something that would be interesting to know. Hmmm....I'll have to do some reading for a more complete reply here, but just because we see Crabbe & Goyle in detention does not mean that Snape was the teacher who put them there; it could have been several others. As far as Slytherins not misbehaving....the one example that stands out is Malfoy when he & Harry cursed each other but others got it instead (Hermione's teeth episode). As I recall, Snape did nothing at all to Draco for punishment there. 1. 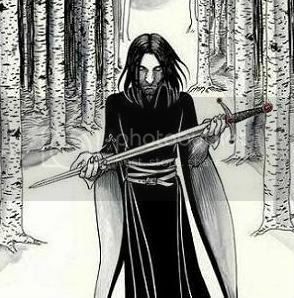 After reading DH, to what extent do you think is Snape responsible for what happened to the Potters? It’s hard to point blame because in the end, it was Voldemort who killed Lily and James and tried to kill Harry. Yet, if Trelawny never made the prophecy, had Severus never heard and reported said prophecy, things would have turned out differently. Then there’s Pettigrew who sold out the Potters to Voldemort and the Potters themselves for trusting him in the first place. It’s hard to blame their deaths on any one person. A lot of events fell into place to bring about their demise, but yes, Snape is partially responsible for setting events in motion. 2. Do you think Snape's character development arc is complete? Absolutely. I would LOVE more information on him, but for a secondary character, his arc is very complete. After all, the books are titled “Harry Potter.” I was very satisfied with the information we were given in the end. “The Prince’s Tale” chapter answered all my questions. Of course, I have my fingers crossed that Pottermore gives us more! 3. To what extent are Snape's parents to blame for his later choices and to what extent are they his own responsibility? This is hard to answer. I don’t think we got enough information about his home life in canon to point fingers. Yes, children often mirror their parents actions when they grow up, but we don’t know exactly how he was treated. We get the feeling that he was neglected, that his father is an unpleasant man, enough so that Severus embraces his mother’s maiden name, but there’s not a lot of explanation. I think he met Lily at a young enough age that he could allow her influence to shape his own actions and personality, yet he still turned on her and in the end, lost her. IMO, Losing her probably made him more bitter and introverted than his parents ever did. Add in the torment of the Marauders, and much of his childhood was unpleasant. I also think there was a lot of self-loathing on his part. In the end, once he grew up, he needed to be responsible for his own actions, as all adults do. After all, he spent 10 months of his life for seven years at Hogwarts, away from his parents. How much influence could they have had on him then? 4. Do you think Snape would have moved on if Lily had not died? Would he have turned to the good side in that case? I would like to think that Snape could have moved on had Lily not died. In my opinion, it was not his love for her alone that made him switch sides, but his intense guilt and remorse over his involvement in her death. Had that guilt not been hanging over his head every day, his love may have waned and he may have been able to have a real life for himself, possibly even found love with someone else. (If he could find someone as tolerant of his personality as Lily was, lol.) Lily’s situation with Voldemort was the catalyst for Snape’s change to the good side, so it’s hard to speculate about the “what ifs.” I would like to think that something would have made his conscience step up, but I’m not so sure. He seemed to long to feel accepted by someone, and as a Death Eater, he was a part of something. Perhaps having to fight against Lily would have made him rethink his alliances, but we’ll never know. 5. Why do you think Snape was so reluctant to approach Lily? Would he have been interested in her if she had not been magical? Simple, Severus was shy, embarrassed by his appearance and probably felt inferior compared to Lily. Insecure children don’t typically approach other children for fear of rejection. And no, had Lily not been magical, Snape wouldn’t have paid her a bit of attention. I believe it was that common bond of magic that did finally give him the courage to speak to her. She was like him and he was different. It brings up my belief that he longs to fit in somewhere and the similarity with Lily gives him hope of that. 6. How did Hogwarts effect the friendship between Snape and Lily? We see that up until fifth year they consider themselves to be "best friends", despite the house system. Do you think they both worked to maintain the friendship? They must have worked to maintain that relationship if it survived until fifth year. Of course, the house system would have had to put strain to their friendship. I’m sure their housemates would throw jabs at each of them for being seen with the other. 7. How would Snape's life have been different if he had managed to save their friendship? I think in order to save their friendship he would have had to completely turn away from the dark arts. He would have had to give up his only other friends because of their reputations. Then his entire house would have turned on him for walking away from their beliefs. I think this would have been very hard for Severus. He appeared to be quite selfish as a teen. He wanted to have his cake and eat it too, so to speak. He didn’t want to have to give up the dark arts or Lily, but he never realized that he would never be allowed to have both in his life. Had he managed to walk away from the dark side and really show Lily he had changed, his entire life would have been different. It’s much like that theory that if you kill a butterfly in the past, it causes a ripple effect that can change the world. Had he maintained their friendship, he wouldn’t have become a death eater, wouldn’t overhear the prophecy, Voldemort wouldn’t go after the Potters, and Snape wouldn’t give up his entire life to protect Harry and be a spy. Furthermore, romance MAY have developed between himself and Lily, thus giving him what he’d always dreamed of having. Then of course, we’d have no Harry and no books about him. I think Snape’s tragic life is for the best! 8. Snape is revealed to have been acting throughout the series out of love for Lily, how does this effect your view of his actions in the series - his "murder" of Dumbledore, his treatment of Sirius? 9. How do the revelations of DH impact your view of Snape's treatment of Harry and Neville throughout the series? 10. Do you think he wanted or needed Harry's forgiveness on some level? I think that Snape gave Harry certain memories in the end so that Harry would be able to see the motivations behind his actions. I’m not sure that he needed forgiveness exactly, but I think he wanted Harry to understand why he was the way he was. As he was dying, he had nothing left to lose, so he gave Harry the whole truth. I’m not sure he would have given Harry as much information had he lived and simply delivered the message from Dumbledore that Harry had to sacrifice himself. In that case, he would have only given him what was necessary. 11. Do you agree with the author's take on Snape's character as revealed in interviews? I admit, I haven’t seen many interviews with Jo, so I cannot give an informed opinion on this one. 12. Which elements do you think make Snape the most controversial character of the series? Which elements don’t? His love for Lily is polarizing. Some people find it romantic, some obsessive. (I find it romantic, mainly because I think the motivation as the years went on was less about his love and more about his guilt.) His treatment of students, his prejudices against the other houses, his killing of Dumbledore. Pretty much everything the man did and said can be argued about. Of course, this is what makes him so fascinating. He has so many flaws, actions and personality traits to discuss. He is an amazing character, regardless of how you feel about him. 13. What do you think are Snape's major strengths? What are his major flaws? Strengths: Loyalty, ability to love strongly, powerful wizard, brilliant. Flaws: Really? So self explanatory at this point. He is so flawed, it’s ridiculous. He never grew up in some aspects. He’s mean and sarcastic. He has problems with letting go both with grudges and love. He takes his anger out on others. 14. If you had to summarize Snape's character to someone who had never read the books what would you tell them? 15. What do you reckon Snape valued most in life? Redemption. I think he felt he owed a debt to Lily after his actions snowballed, and he just wanted to do right by her. Last edited by DanaSnape; October 28th, 2011 at 4:11 am. Hmmm....I'll have to do some reading for a more complete reply here, but just because we see Crabbe & Goyle in detention does not mean that Snape was the teacher who put them there; it could have been several others. Snape to Draco: "You were certainly alone tonight, which was foolish in the extreme, wandering the corridors without lookouts or backup, these are elementay mistakes --"
Draco to Snape: "I would've had Crabbe and Goyle with me if you hadn't put them in detention!" So that clears up that question: It was Snape. Snape told the kids to go into the classroom, and Draco obeyed him. Ron started talking back about Hermione's teeth versus Goyle's boils (hey - a rhyme!) and raising their voices, and that's why they got the detention while Draco didn't. Goble of Fire Fifty points from Gryffindor and a detention each for Potter and Weasley. Now get inside, or it will be a week's worth of detentions. So I don't believe Snape intended to give either Draco or Harry punishment for what they did in the hallway, since both of them had a friend who got zapped while they were aiming for each other. It would seem rather that he punished Ron and Harry for yelling at a teacher in the hallway when they were supposed to be in class. Plus, Snape couldn't get too detention hppy with his own students, as those students connected to their parents, who were, of course, Death Eaters. Snape was trying to convince them he was still on their side, and they wouldn't take it well if he was always punishing their kids. I agree. I think Snape's actions were always monitored in one way or another and by both sides (the Order which always looked upon him with a dubious kind of trust and the DEs who expected him to be loyal to them, their plans and goals). Lucius Malfoy was on the Board of Hogwarts; plus all those students who were kids of DEs languishing in Azkaban. I think they would have looked upon Snape with suspicion and maybe a bit of envy and dislike because they may have felt he got off too easy, while their fathers were keeping the dementors company. Or, the kids of DEs like Draco and others whose fathers were not captured, but expected Snape to go lenient on Slytherin students and their own kids, because they shared a common link - all of them being followers of Voldemort. I think Snape had to walk a tight line even in the years Voldemort was absent and in Spinner's End it was apparent IMO that even that was not enough for the likes of Bellatrix, who felt Snape was not as loyal to Voldemort as he should be. It was, but I think the context suggests that on this occasion he may have put them in detention as much to try to stop them helping Draco with his plots to kill Dumbledore, as because their academic performance warranted it (although it undoubtedly did). Given the surrounding context I'm not sure it's the best example to support the argument that Snape was fair to all students across the board. Just wondering, Mel, is this your perception, speculation, or is there actual canon saying that Severus detained the pair to upset Draco's plans? I just read it as Crabbe and Goyle had done something and gotten detention for it. I guess I missed the context where Severus intentionally put them in detention. Good question It's just my perception (NB in fairness, I did say "I think"). The context of the conversation is Snape trying to persuade Draco to take him into his confidence about the plans to kill Dumbledore. I read Draco's comment "I would've had Crabbe and Goyle with me if you hadn't put them in detention!" as implying that Draco suspects Snape did it deliberately to block him. Snape says earlier on in the conversation "I can assist you" [bold mine], then after the discussion of Crabbe and Goyle's detention he says "if you are placing your reliance on assistants like Crabbe and Goyle -" [bold mine], so I read the subtext of the whole conversation as "Don't rely on Crabbe and Goyle, rely on me instead" and I read the detention as being one of Snape's strategy to remove other assistance from Draco to try to force him to turn to him. I know this is just one (perhaps somewhat speculative) reading, and admittedly Snape at one point actually says that he has given C and G detention because of their poor academic performance ("If your friends Crabbe and Goyle intend to pass their Defence Against the Dark Arts OWL this time around, they will need to work a little harder than they are doing at pres-"), but I think he's protesting too much here. He's gabbling in a long-winded fashion which is quite uncharacteristic for him, which makes me think he's just making up an excuse here. Plus he tells Draco to keep his voice down when he accuses Snape of putting C and G in detention when they should have been helping him, which makes me think that there is more going on here than meets the eye. This is just my reading and I'm sure a lot of people won't agree with me, but this is (I think! I'm probably wrong, though, so do correct me if there are others) the only time where we see Snape giving detentions to Slytherins and I think there may, just possibly, be an underlying reason for it. Good points. I can see your line of thinking there. If Severus hadn't mentioned the very poor performances by the pair, I'd think Draco might be right. But, I think that the two were detained just because of that and not intentionally undermine Draco. IMO, while we know Severus didn't want Draco to succeed at his assignment, he also didn't want him caught trying to carry it out, either. We don't see any of the Slytherins get detention in any of the rest of the books because, IMO, we don't actually see them do anything in front of a teacher to get detention. Not that the lot of them don't deserve it, but we don't see them backsassing or arguing with any of the teachers, including Snape. The closest is their disrespect for Hagird, and, even then, it's done behind his back so he doesn't actually pick up on it.
! I, too, when I have the time, like to wander around the Snape thread. Sometimes, however, I just feel like I have to voice my opinion and will thus get drawn into the conversation. But I'm not too consistent in staying in the topic for long, either because I'm just too busy (I should actually be studying for my upcoming biochem exam! But I find COS to be too good of a procrastination tool) or that I find the arguments to get a wee bit tedious sometimes, as they often end up going in round-about circles. But, I digress... Anyway, I also agree that Snape is a great literary character and is truly fascinating to study, though I don't take a particular liking toward the fella. He's such a polarizing figure, for the very reasons you point out, which in turn makes for some very fascinating and even polarizing arguments. He is, by many accounts, not a great guy at all. He's often cruel, vindictive, and downright childish. But he also has immense bravery and a pretty stellar mindset when it comes to fulfilling one's goals. So, how do we then propose to judge him? Do we toss out all the bad to him, and ultimately name him a 'good guy'? Or do we discount the good he does, to ultimately label him a 'bad guy'? Some tend to lean more toward the former, others toward the latter. I try to remain as indifferent as I possibly can when analyzing Snape's character, but man, sometimes it's just too hard! To be plain, I often find it hard to sympathize with a man who truly did have a horrid life but, by many accounts, brought it onto himself. Also, I tend to find other characters in the series to be much more inspiring and remarkable than Snape, even though he is my favorite character. Of course, Snape did some pretty admirable things, but so did other characters, and it didn't take them the death of a loved one (with perhaps the exception of DD) to fulfill such admirable deeds. So, yea, maybe my indifference and attempts at remaining un-biased only endure so far. But, I try! "Few of the birds Maester Aemon had returned as of yet. One found Stannis, though. One found Dragonstone, and a king who still cared." Is my memory failing me, or are some of these new? After all this time? You're good, Moriath! From a straight cause and effect point of view, exactly what happened to the Potters would not have, if Snape had not become a Death Eater. (Though something worse for them and for their world, might well have, since their Order involvement would have made them targets to some degree regardless of Snape's choices). To me, though, responsibility has a lot to do with intentions, and by the time something was going to happen "to the Potters", Snape showed himself willing to do whatever necessary (literally, "Anything") to save them. That this was not enough is due to deliberate choices to harm the Potters made by Peter Pettigrew and (especially) Lord Voldemort. Yes. This is a character whose life we are now able to trace out from early childhood through to his death, with all the key milestones laid out for us. Some people may have questions about some events we are not shown, or about his precise motivations in some of the ones we are shown, but I would consider these relatively minor details. I think Snape's parents have responsibility for their neglect of their son. I believe their neglect narrowed the choices Snape had available to him in ways that pushed him to make the wrong choices. I would add Hogwarts (generally) and wizard society (generally) as additional factors in this equation. Yes to the first, and he was already on the good side before she died, to the second. He would have stayed on it if she had lived, in my opinion, as he did after she died. And he would have been happier with his choice, since he would know she lived because of it. (Instead of dying in spite of it). I think he was reluctant to approach anyone in the Muggle world. His wearing of a heavy, oversized coat in summer suggests to me he knew he looked odd, and defensiveness towards Petunia (and her comments about him that provoked it) suggests to me this was because he had been mocked for his dress and circumstances before. I think he would not have approached Lily if she were not magical, because I think he had already decided, by that point, and based on bitter experience, that no Muggle would accept him. He was waiting to get to Hogwarts, where (poor tyke) he thought things would be different, and his unexpected discovery of a witch in his neighborhood, gave him hope that maybe he did not need to wait until his letter came. I think Hogwarts came between them. From what we are shown both during and after their school years, I have to believe Snape tried his best to maintain the friendship. On Lily's side the matter is less clear to me, but certainly we have evidence she gave it some effort. She appears to have for some time resisted peer pressure to give him up. I think one reason they were able to stay friends as long as they did despite the pressures put on them by Hogwarts, is that (while we were not shown them) they had summers together at home, away from all of that, during which they could reconnect based on the interests and traits that had made them friends to begin with, and during which they were each other's only link to the magical world - the one person they could share their school experiences with. Incalculably? Lily made it pretty clear she would not be friends with a Death Eater. So in my opinion, if he had managed to save it, he would not have become one. This would have to have included a clear enough exchange of views to get this across to Snape and offer him a clear choice. (Which I personally do not doubt he would have made, once he understood the stakes). His murder of Dumbledore, considered with the idea in mind that he was acting out of love for Lily, seems to me a highly disinterested, selfless, and courageous action. So far as Snape knew, neither he nor Harry (Lily) would benefit from this choice at the time he made it. It spared Dumbledore a worse death, which shows to me that Snape was capable of acting based on compassion for another. His treatment of Sirius in PoA of course becomes easy to understand through the prism of his love for Lily. We can see in retrospect, that he is acting based on the same pain and desire for vengeance on which Harry is acting (with the added ingredient of care for Harry's safety, which Sirius is believed to threaten). His treatment of Sirius in later books in my opinoin has little to do with Lily. He is acting as I might expect anyone to act, who is treated by Sirius in the manner Snape is (e. g. Occlumency chapter argument), and as I would expect anyone to act, who is a sincere member of the Order (when he checks that Sirius is safe at 12 GP). I don't see any link between the revelations about Snape in DH, and his relationship with Neville. The latter seems to me straighforward and adequately explained within the earlier books. The revelations of course explain definitively on what past experiences and motivations the love/hate relationship Snape has had with Harry is founded. I think what he always would have wanted and needed is Lily's forgiveness. Which since she was dead was of course unattainable. I am not sure I would say he either wanted or needed Harry's forgiveness. Certainly, he had wronged Harry (most importantly through his role in the deaths of Harry's parents), and I feel his sharing of his memories (including ones that made this fact explicit) with Harry was an acknowledgement of this. I find his death scene very interesting to think about. In it the author makes a choice not to tell us what Harry is thinking and feeling, much. So, what, if anything, did Snape the Legilimens see in Harry's eyes as he died? The author has in my opinion been protective of her big DH surprise in the past, making Dumbeldore-and-Snape-worthy answers to troublesome questions in the pre-DH past. She has also seemed to contradict herself in some post-DH interviews. However, my general sense of her post-DH interviews is that we would agree pretty much on Snape's personality and character arc, but (being different people with different experiences and priorities) might value those things somewhat differently. While she has stated she "likes" Snape, I think I like him a good deal more than she. There is far less to be controversial about, in the rest of the characters. And what there is, is in my opinion, less interesting. I acknowledge there is a basis for considerable difference of opinion on shipping questions, for example, but Snape discussion offers the scope for clashes of worldview. People impute to fans/nonfans of Snape, any number of real-life positions people tend to care a great deal about, from racism and misogyny to general intolerance, classism, shallowness about looks, opinions on bullying, opinions about pedagogy, religious/ethical views on forgiveness, redemption, and the disposition of the soul in eternal life, the basis for moral responsibility, the proper basis for making ethical choices, etc. And so here we are. I wouldn't, unless the person assured me there was no way they would ever read the books without an answer. In which case, I would say he is reason enough in his own right to read the HP series, and is one of my favorite characters in any book I have ever read, and I have read quite a few. So I think it is a toss-up as to whether or not Snape would have given Harry detention anyway, and not Draco, even without the outburst by Ron & Harry. Both should have gotten points taken or detention for trying to curse each other. I think Ron got in trouble for talking back to Snape, but I think Snape would have given Harry detention and points off regardless. He's done that before. I think Ron got in trouble for talking back to Snape, but I think Snape would have given Harry detention and points off regardless. He's done that before. My (often faulty) memory recalls only one time that Snape gave Harry undeserved points off-first portions class when Snape accuses Harry of not helping Neville in order to appear the better student. And I don't recall any undeserved detention. Would you mind passing on other references? I'd appreciate it!